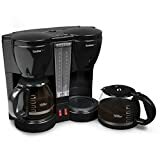 If you are looking for a piece of equipment to replace your bulky coffee makers, then the Kitchen Selectives CM688 single cup drip coffee maker is the best choice. Read on for the complete review. 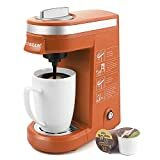 Kitchen Selectives Single Cup Drip Coffee Maker makes the perfect housewarming gift for that friend or family member striking out on their own. You could even get it in their favorite color! Maybe you have one of those “straight out of college” friends who just started renting out an apartment and lives on coffee but can’t afford their own brewer. This would be a wonderful gift that will get them through all those stressful job-searches and even more stressful entry-level jobs. There are ample options for you including the Kitchen Selectives Single-Serve Brewer. 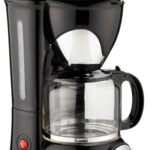 Making use of a coffee maker is not only an economical choice, but it is also very practical and convenient. The great thing about single-serve coffee makers is that you do not get stuck all day with the coffee you brewed in the morning. Since you are only preparing a cup, you can easily consume it and brew yourself another at your convenience. Let’s take a closer look at the product that was mentioned above. One Button Function. 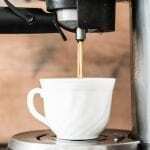 With a press of a button, you can easily make your cup of coffee. 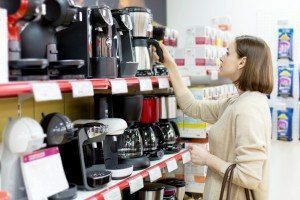 This feature is beneficial if you do not have the patience to deal with complicated coffee makers. 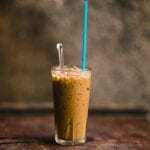 As you know, some are hard to set up and configure that you are better off buying your coffee at the nearby local shop. Washable Filter Basket. 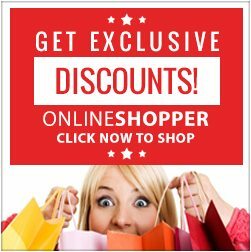 Having a reusable mesh filter is money saving as you won’t have to place it each time. You are also helping the environment by not adding waste. The filter is easy to clean too. Brewing Time. It brews in just a few minutes so you won’t have to wait endlessly for a single cup of coffee. Standard-Sized Mug. 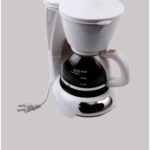 You will be pleased to know that this single cup drip coffee maker comes with a white 12 oz. mug. The mug has a large handle to accommodate those with larger hands. Illuminated Power Light. Another nice feature of this single cup coffee maker, is the illuminated power light. Why, you might ask? Some people are fond of leaving lights off in the morning. This feature lets you know your coffee is about to start brewing. Variety of Colours. 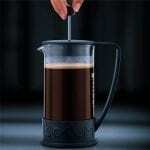 The Kitchen Selectives Single Cup Drip Coffee Maker comes in 4 different colors: black, red, green and turquoise. However, no matter the color of the brewer, the complimentary mug is always white. Compact Size. If you are concerned about the space this equipment occupies, do not fret anymore. This is very compact and takes little space. It is also on the light side and short enough to fit under built-in wall cupboards (if you have any). Removable Drip Tray. This makes cleaning the single cup coffee brewer much easier. 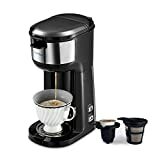 As you know, Kitchen Selectives one cup coffee machine is just one of the many single-serve coffee makers to choose from. 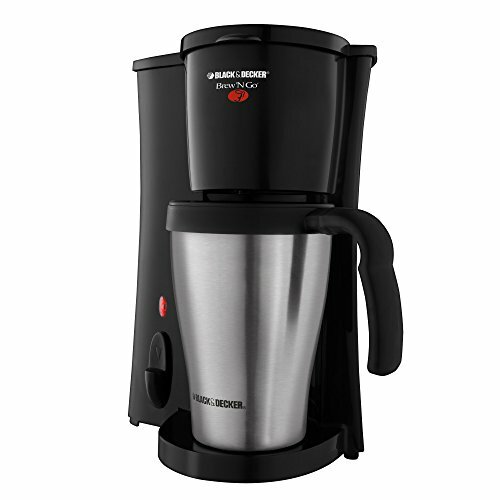 Another single-serve coffee maker is the one from Black+Decker. It has the same standard features and also comes with a travel mug. The Black+Decker is compatible with coffee grounds or coffee pods. It is up to you to choose. The travel mug is 16 ounces, and it also fits most cup holders. There is also a removable mesh filter for this unit. 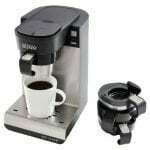 Both coffee for one coffee makers are compact and take up little space. It all depends on your specific preferences and design. 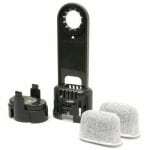 The Kitchen Selectives is an excellent piece of equipment to replace your bulky coffee makers. It is ideal for one or two people. Additionally, the 12 oz. mug is nice touch and gives you extra value for your money. When it comes to cleaning, this one cup coffee pot is easy to clean and disassemble. The removable drip and washable mesh filter ensures that cleaning will be easy and not a complicated affair. You can check the user manual for its specific cleaning instructions. Meanwhile, if you are sick of burning your tongue with every cup, not to worry. The Kitchen Selectives Single Cup brews your coffee at the perfect drinking temperature. The only negative thing about this equipment is that unlike other coffee brewers, it does not have an auto shut-off. You will need to remember to manually shut-off the brewer after each use. For safety reasons, you should also ensure that the lid is fitted tightly before you put the brewer on. 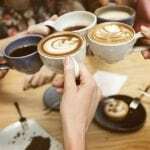 There are many other brands and types of coffee-for-one coffee makers today. 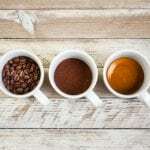 It is always great to know that you have ample choices for coffee brewers, but sometimes this makes it difficult to choose which one to buy. It is best to read through reviews, and if possible check the actual item. This way, it would be easier for you to decide if the Kitchen Selectives Single-Serve Brewer is the right one for you.